DERA GAZI KHAN: The Rangers personnel on Monday gunned down three terror suspects during a shootout in Dera Gazi Khan. 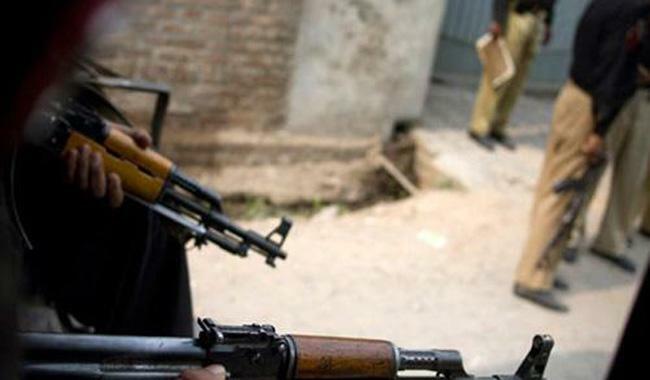 According to media reports, during a raid in Sakhi Sarwar town of the district, the suspected terrorists opened fire on paramilitary troops in a bid to escape from the scene. In retaliatory firing, the troopers killed three suspects, whereas a Rangers’ man received gunshot wounds. As per reports, a remote-controlled bomb, a suicide vest, arms and ammunition were recovered from their possession. Last month, security forces shot dead three terrorists during an intelligence-based operation (IBO) in Dera Ghazi Khan, according to the Inter-Services Public Relations (ISPR). The military’s media wing said Rangers and Elite Police personnel along with officials of intelligence agencies carried out the operation under the Operation Raddul Fasaad. Three militants were killed in a shootout, it said and added two Rangers men also got injured in the operation. AK-47, hand grenades, improvised explosive device and ammunition were seized from the possession of terrorists.